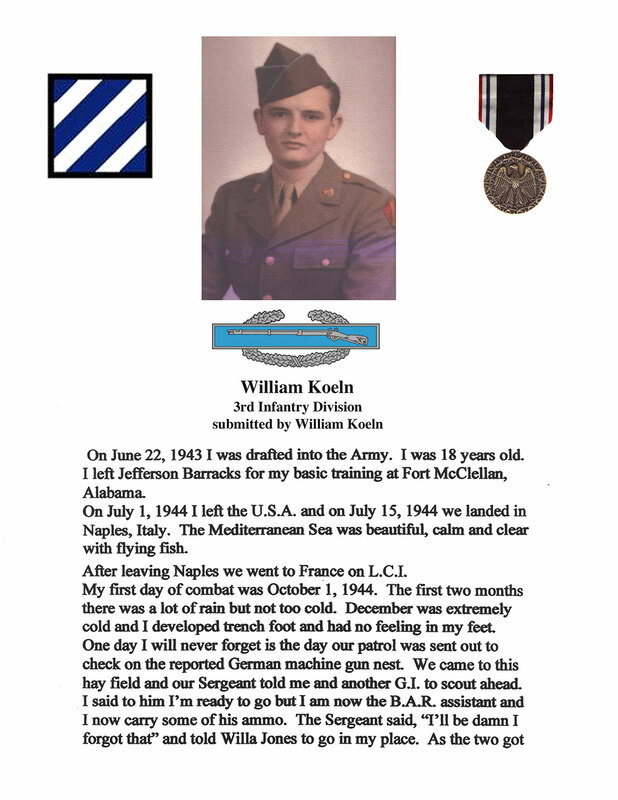 Born in St. Louis, Bill Koeln served with the famed 30th Infantry Regiment of the storied 3rd Infantry Division during WWII. 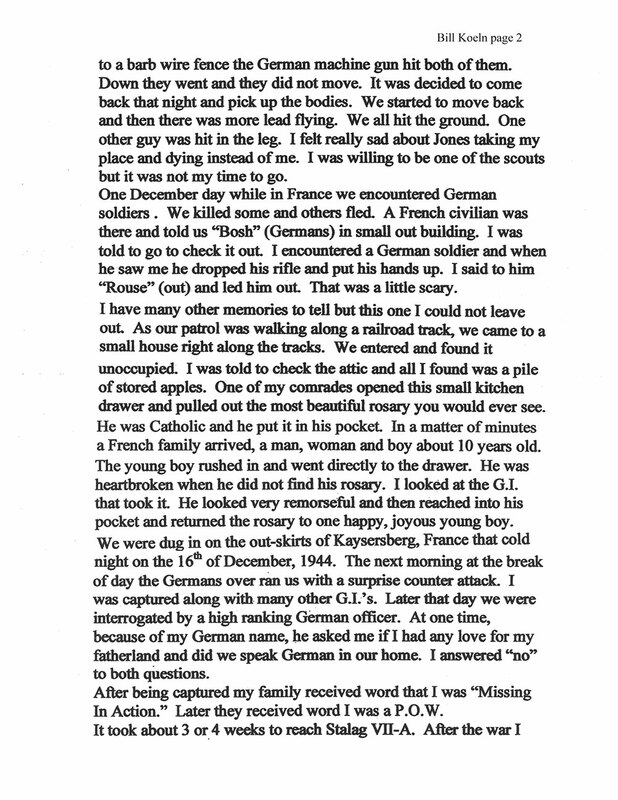 The 19 year old BAR gunner assistant was captured by the Germans on December 17, 1944, when his outnumbered unit was overrun during fierce fighting in an area of Northern France which came to be known as “the Bloody Colmar Pocket” (it was in “the Bloody Colmar Pocket” that Lt. Audie Murphy earned his Congressional Medal of Honor). 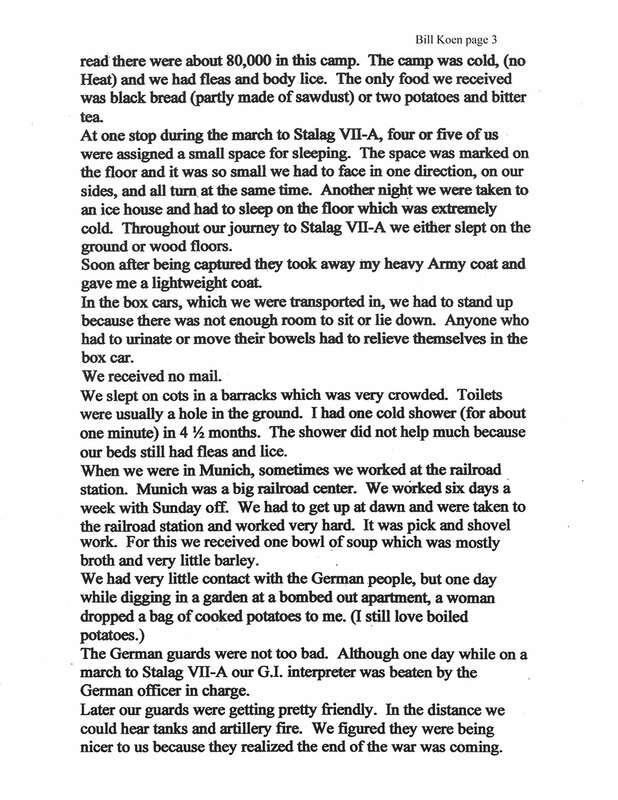 Initially listed as MIA, and following an arduous forced march in extreme winter conditions and a punishing railroad box car ride, Bill eventually wound up in the infamous Stalag 7-A, Germany’s largest POW camp during WWII. Subsisting on black bread partially made from sawdust, watered down barley soup, and a potato from time to time, he was made to do forced labor repairing railroads. After a running battle with remnants of a German SS unit, Stalag 7-A and Bill Koeln, were finally liberated on April 29, 1945. 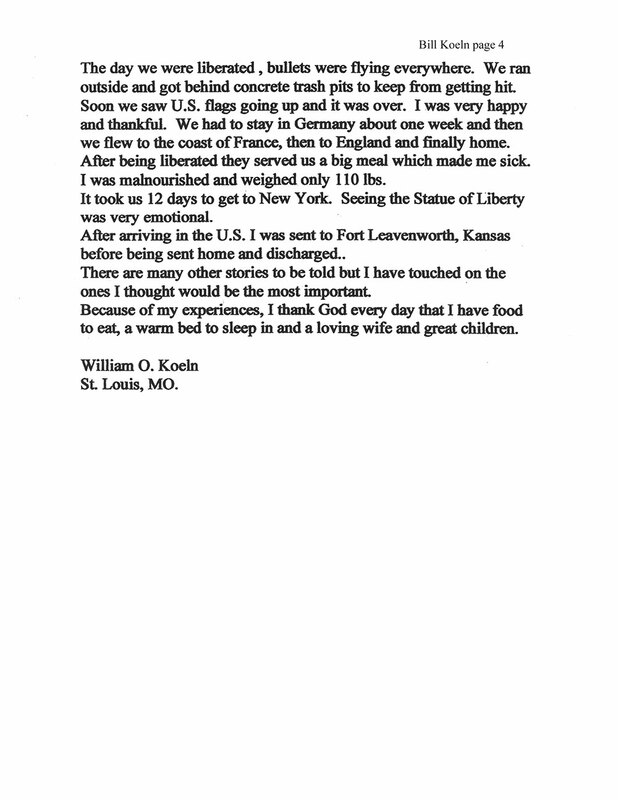 In 2011 the Amvets Department of Missouri awarded a scholarship in Bill Koeln’s name to Lafayette High School graduate and ROTC Cadet, Dylan Ashdown. 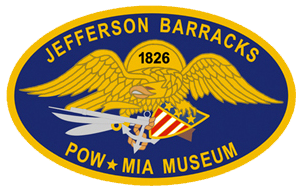 Among Bill’s other awards are the Combat Infantryman’s Badge, the Bronze Star, and the Prisoner of War Medal. Scroll through slides to learn Bill’s full story!